Even after Senator John McCain’s death, President Trump has made no secret of his disdain for the man. Hours after McCain succumbed to cancer on Saturday, Trump reportedly nixed a White House statement that called the senator a “hero,” instead offering a single, anodyne tweet that conspicuously eschewed any personal praise. On Monday, there was visual evidence of Trump’s contempt. 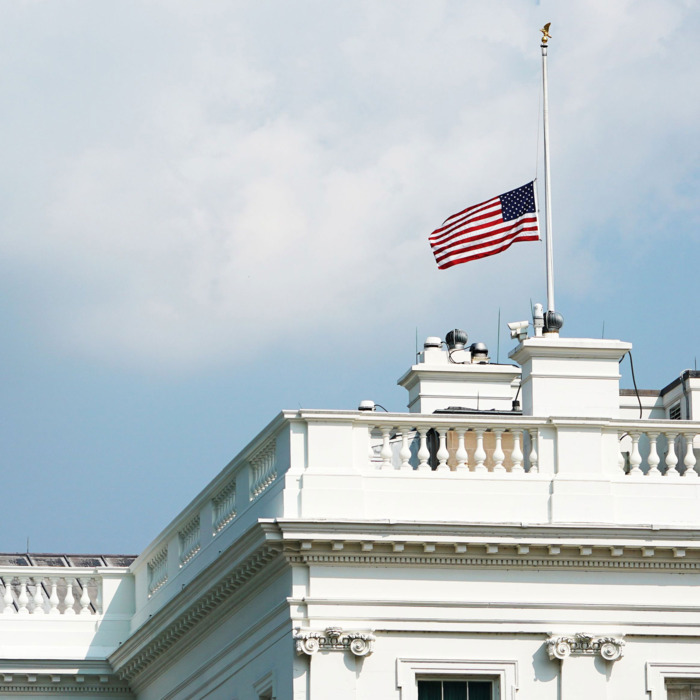 The White House had lowered its flag to half-staff on Sunday, but shortly after midnight, it was back at full staff, in a clear break with precedent — which dictates that it be lowered until burial — and the U.S. flag code. The blatant disrespect toward McCain drew loud scorn from veterans groups and many others. And, after hours of criticism, given more life by Trump’s refusal to answer any questions about McCain, the White House retreated in humiliating fashion on late Monday afternoon. The flag was lowered again, and Trump issued a grudging pro-McCain statement that did not sound very Trumpian. “Despite our differences on policy and politics,” it read in part, “I respect Senator John McCain’s service to our country and, in his honor, have signed a proclamation to fly the flag of the United States at half-staff until the day of his interment.” McCain’s funeral is scheduled for Sunday. NEW statement from @realDonaldTrump: "Despite our differences on policy and politics, I respect Senator John McCain’s service to our country and, in his honor, have signed a proclamation to fly the flag of the United States at half-staff until the day of his interment." Trump also said in the statement that he would send Chief of Staff John Kelly, Defense Secretary James Mattis, and National Security Adviser John Bolton to represent the administration at McCain’s services. McCain had specifically requested that Trump not attend, so at least the president isn’t planning on disrespecting McCain one last time by showing up. This article has been updated throughout.